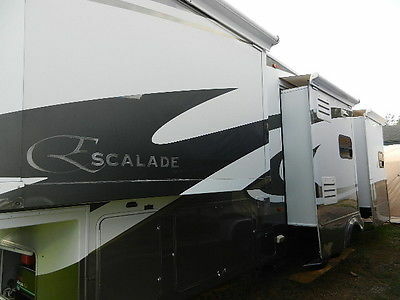 I'm selling my KZ Escalade Sportster Toyhauler. It has been a wonderful useful trailer but we are not traveling anymore so it has to go. 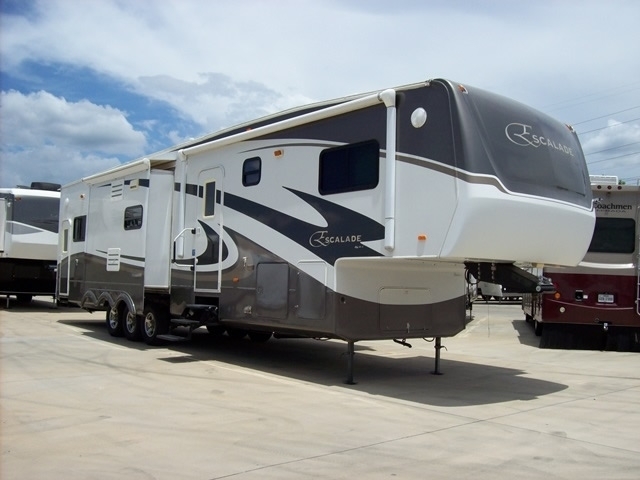 The total length is 43 feet, it has 3 axles with Mooreride Suspension. 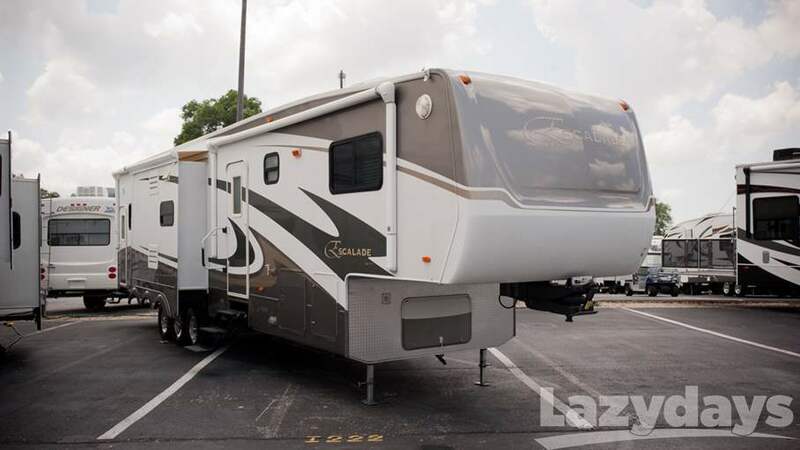 ON BOARD FUEL STATION, THREE A/C UNITS, 1 KING BED 1 QUEEN BED AND 1 FULL PULL OUT COUCH, FLAT SCREEN TV WITH OUTDOOR TV HOOK UPS AND OUTDOOR SPEAKERS, HAS AN AUTOMATIC SATELLITE DISH ON TOP, THE AWNINGS ARE FROM COLORADO TENT AWNIN WITH AN AUTOMATIC WIND SENSOR. HAS TWO FANTASTIC FANS WITH RIAN SENSORS, A "5TH AIRBORNE" SUSPENSION HITCH WITH AN AIRBAG. 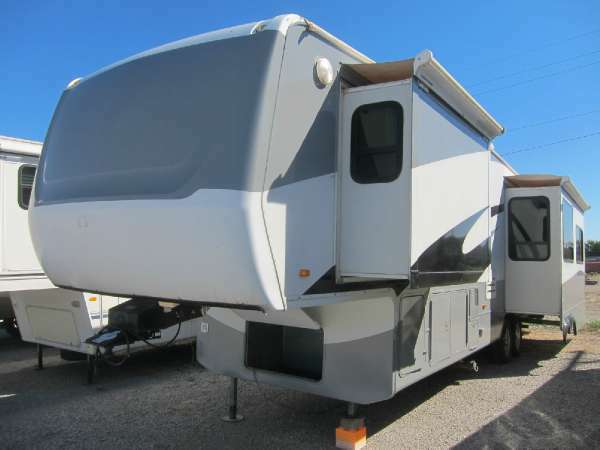 IM ALSO INCLUDING A HUSKY 26K SLIDING TRUCK HITCH $2,000.00 VALUE ONLY USED TWICE. 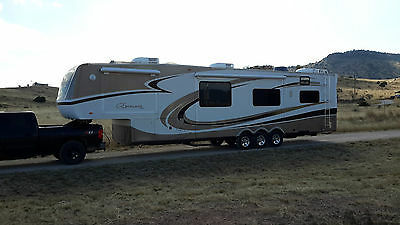 (NO RAILS INCLUDED JUST THE HITCH) 1 DVD PLAYER WITH ENTERTAINMENT RECIEVERS AND SYSTEM. 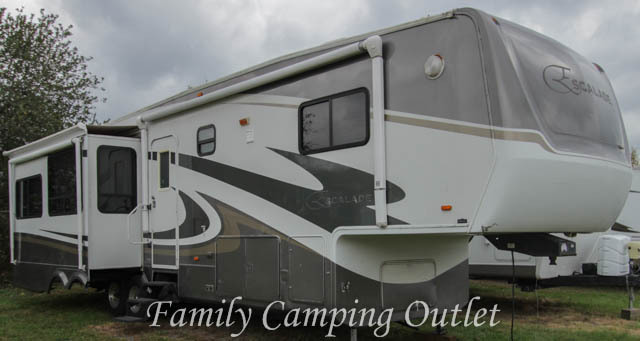 AlSO INCLUDES A DISH NETWORK BOX W/ REMOTE, BUILT IN DIRT DEVIL CENTRAL VACUUM SYSTEM, HAS A LARGE NORCOLD DOUBLE DOOR FRIGE/FREEZER THAT WILL RUN ON ELECTRICITY OR L P, INCLUDES 2 40 LB PRO PANE TANKS, THREE BURNER STOVE WITH OVEN, AND A LARGE CONVECTION OVEN/MICRO WAVE. Buyer is fully responsible for shipping costs and fees. Returns will not be accepted. Please make sure you understand that the unit is used and not perfect. I have been honest and open with all that is wrong to my knowledge. Please do not hesitate to ask any questions or request additional pictures. Payment accepted PayPal, personal check, cash in person, and cashier check. 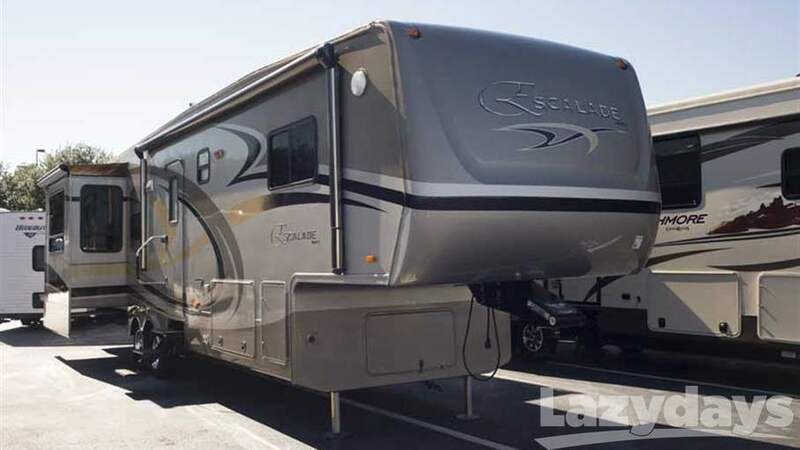 2009 KZ Escalade 37KE, Triple Slide Escalade FW by KZ, Rear Hide-A-Bed w/End Tables, Lift-Up Coffee Table, Double Recliners w/End Table & Free Standing Table w/4 Chairs Slide Out, Opt. Kitchen Island, Stereo/TV/Desk/Refrig./3 Burner Range/Dbl. 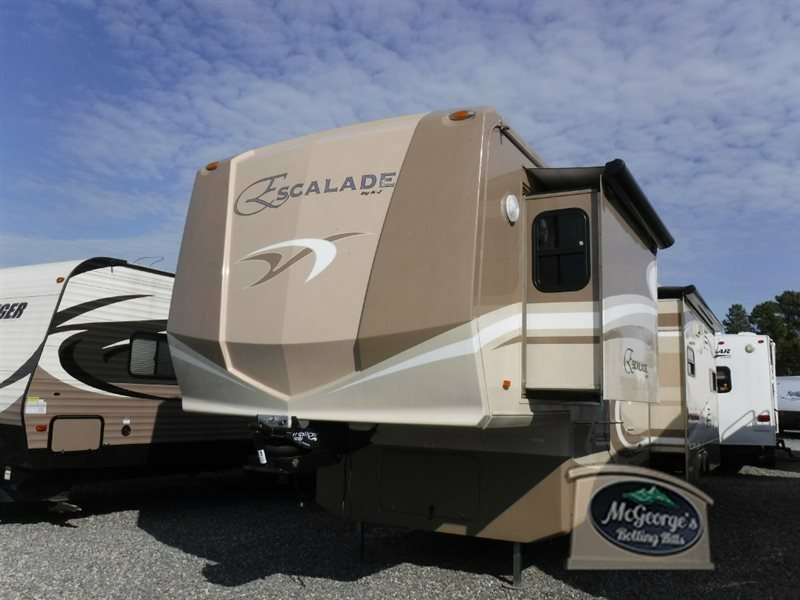 Kitchen Sink Slide Out, Washer/Dryer Prep., Step Up Bath & Bedroom, Toilet, Corner Shower, Lavatory, Queen Bed w/Nightstand Slide Out, TV Cabinet, Window Seat, Corner Closet, Wardrobe, 16' Eclipse Awning & More. 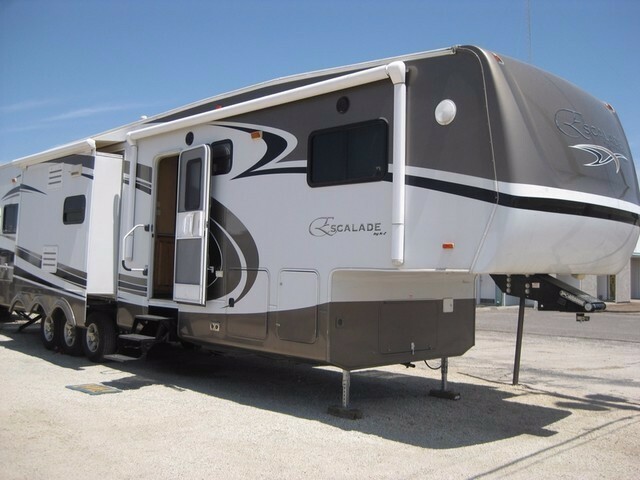 The 2006 KZ Escalade 36KSB is spacious, very comfortable, has 3 slides, and would be a great home away from home. 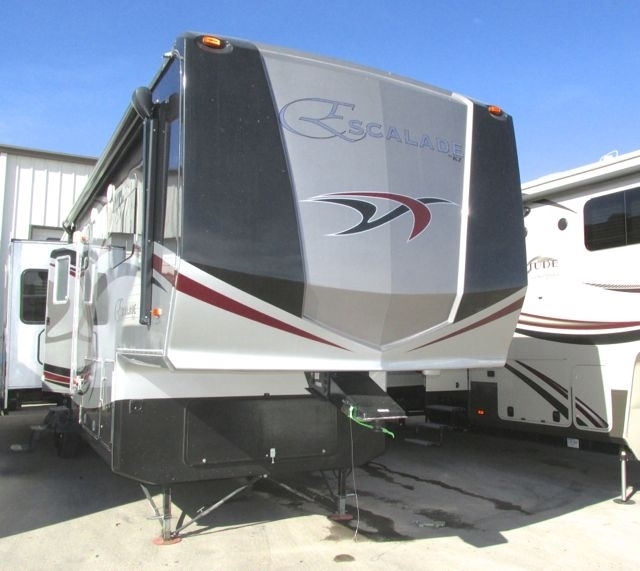 Outside this fifth wheel has a fiberglass exterior, Onan 5,500 generator, power stabilizers (rear), a 12 gallon G/E DSI water heater, black tank flush, ladder, Aluminum wheels, and two awnings. 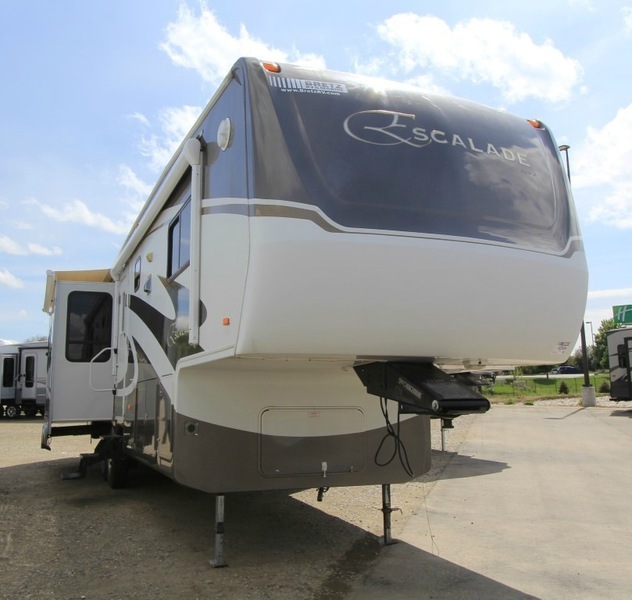 Inside this rear living layout has ducted air, ducted heat, a 12 cubic foot RV refrigerator, two TV's, AM/FM/CD/DVD player, King bed, glass shower enclosure, porcelain toilet, washer, dryer, and Cherry wood work. The UVW is 13,240 Lbs. 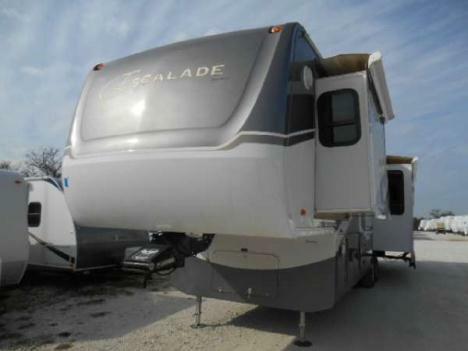 This Escalade 36KSB has some bubbles in the fiberglass exterior. Inside, there are several soft spots in the floor and slides that need attention. If you have been looking for a diamond in the rough this is the one for you! Call today! Negotiable! 1-866-806-3196.